This is a tough post to write. I have decided to change my path. Sometimes reality has a way of changing our priorities. This happened to me recently. I need a lifestyle change - one that includes being more active. I have a full-time job and between sitting at my desk for nine hours a day and then coming home and sitting behind another desk for the rest of the night - I wasn't being active. And I feel it. So that is what made me decide it was time to change my priorities. I have so enjoyed these last three and a half years. I have met some amazing people and have had an amazing time. But now it is time to move on. Everything has a time and a place. For me, this is the time. Each one of your comments inspired me. You are what made the blog a fun place to go to. Thank you for following me and including me in your virtual lives. I thought about doing it on a slower schedule; but I am not one for doing anything part way. So this is best for me. I will still be an active participant of the nail community and will be stalking launches and restocks with the rest of you. I have to admit, I am looking forward to wearing a polish or nail art longer than a day. I may occasionally pop in and post a nail art look or a nail of the day. So again, thank you for being around for the last few years - it's been a wild ride. 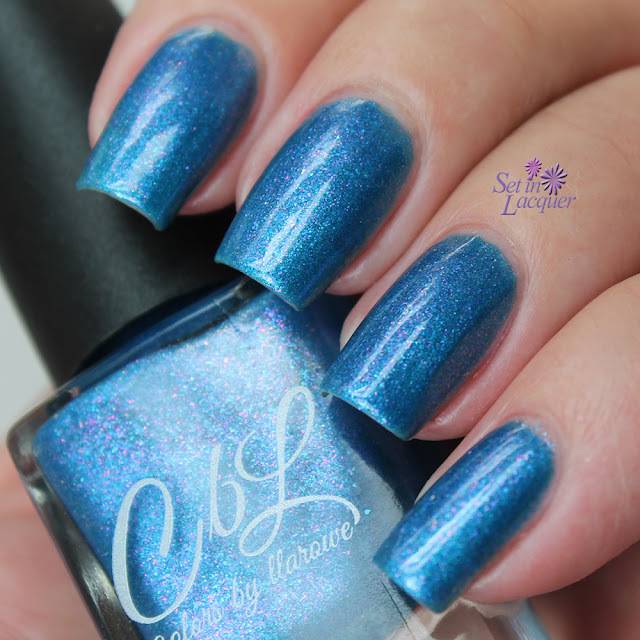 Today I have the Colors by llarowe polish for the June 2015 A Box, Indied. Stormy Skies is a gorgeous sea-water blue polish with shimmers. The theme for June's A Box, Indied is nautical. I can't wait to see the other contributions for this box. This polish is an amazing blue - it is a little deeper than an ocean blue. But that fits the name of Stormy Skies. It has the deep blue of the sky and the rosy pink shimmer that shows in the sky when the storm is over. Let's take a look. This is three coats with a top coat. I had no issues with application. Unfortunately, it's been snowy here and the sun has decided to hide. So there are no sunshots to share with you. Keep your eyes open for the rest of the polishes for June. A Box, Indied retails for $50 and will be available at Noon and 7 p.m. MST ,February 26, 2015 at Llarowe.com. Follow A Box, Indied and Llarowe on Facebook and Instagram @aboxindied and @llaroweofficial to get current information and some sneak peeks of upcoming releases. I have some dazzling shades of neons for you today. This Neon Pop! 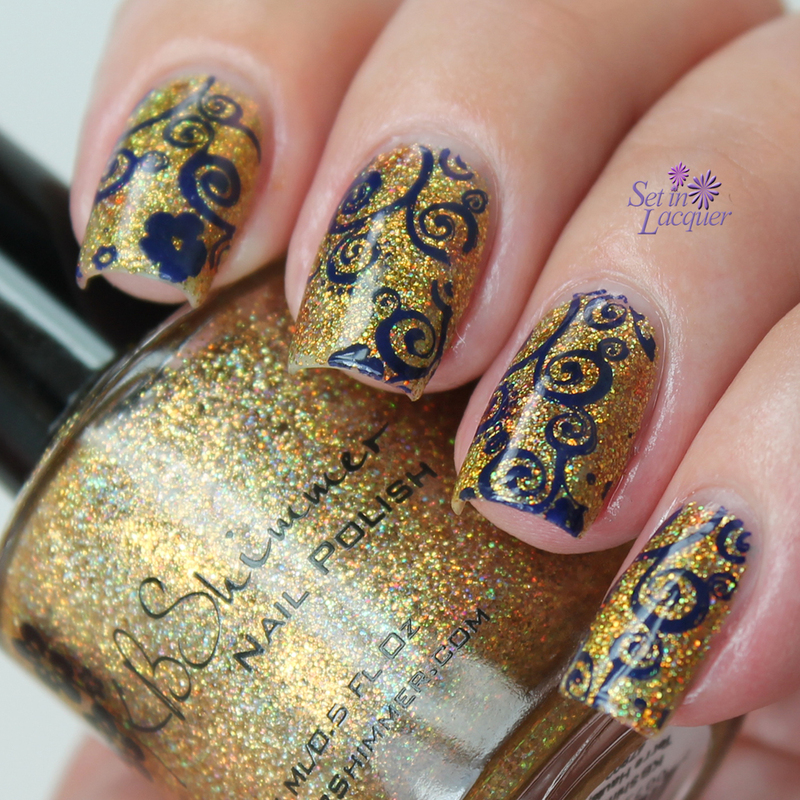 Collection from Salon Perfect is sure to add some dazzle and a pop of color to your nails. This is a collection of 14 high-voltage shades including five new limited editions from Salon Perfect®. Neons seem to be the trend of the season and I can see why. These polishes will bring a pop of summer into your world. Let's take a look at these limited-edition polishes. I'm excited to share the newest Elevation Polish Collection with you today. The Streets of Japan collection consists of six sensational polishes. There is also a return of a favorite - It isn't part of the collection, but will also be available on May 7, 2015. The finishes and shades in this collection are varied, but cohesive. I love the inspirations behind her collections. I always find myself searching the Internet for the places that inspired her. Let's take a look at this collection.